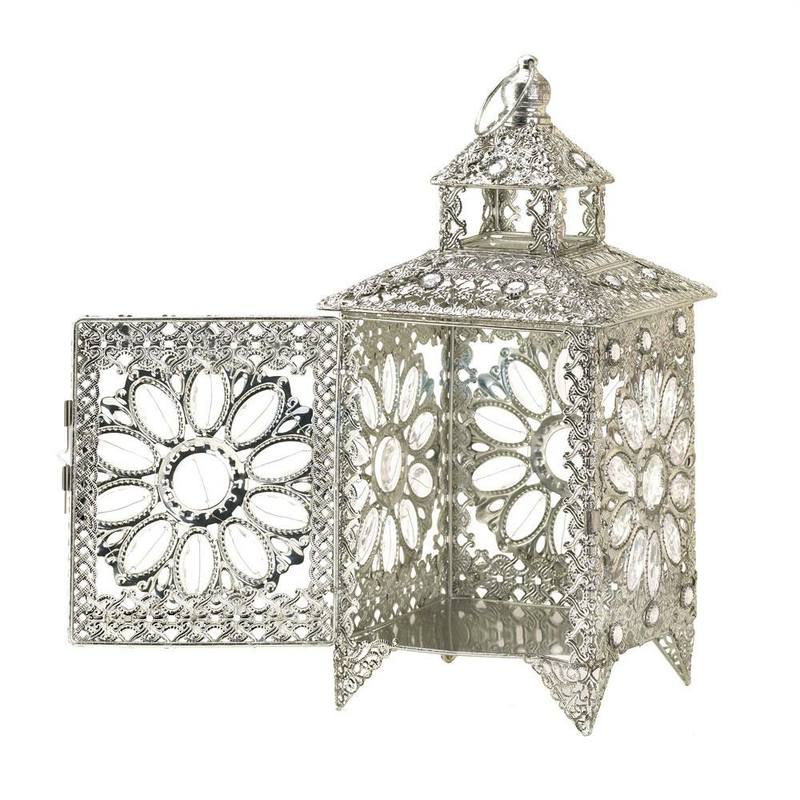 This Moroccan style candle lantern makes you feel like royalty! 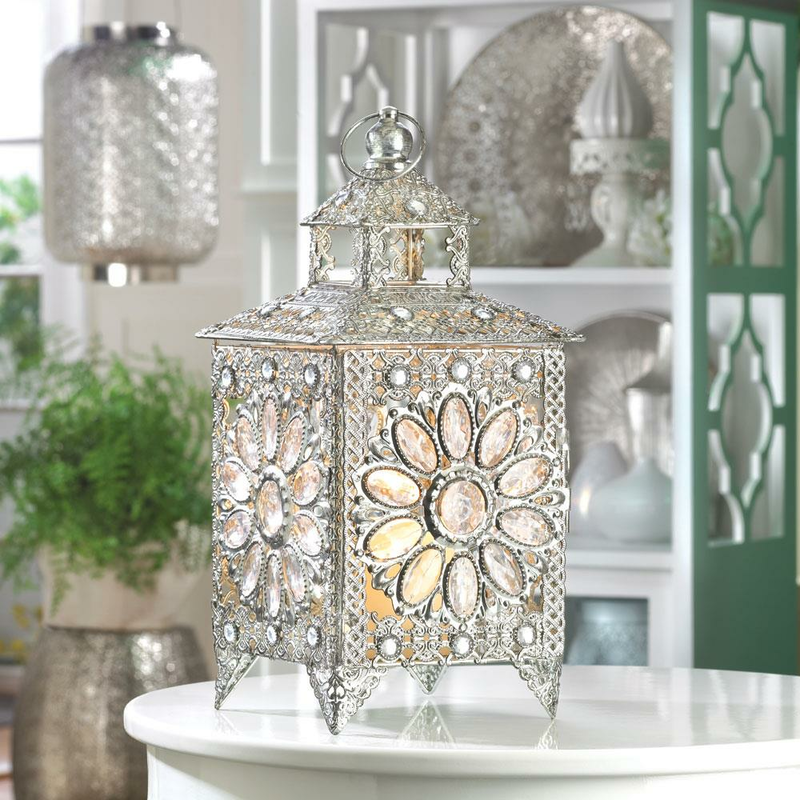 Enjoy the sparkle of all the Kingdom’s riches gathered in this stunning tabletop candle lantern. Faceted jewels set inside luxurious silver-tone filigree dazzle when a candle is lit inside. There’s nothing common about this enchanting treasure! Item weight: 1.8 lbs. 6 1/8"" x 6¼"" x 13½"" high; 15 5/8"" high with ring at top. Iron and acrylic. Candle not included. UPC: 849179011536.